Singer Rob Rock needs no introduction here (or else; where have you been? ), and guitar player Roy Z is probably best known for writing and producing some very good and successful albums (Bruce Dickinson and others). 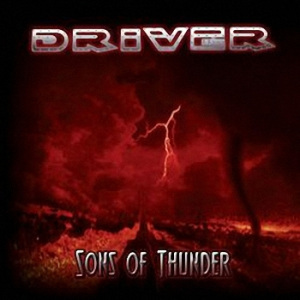 Together they created this metal monster that is Sons Of Thunder. It is actually pretty simple to review this. If you like your metal melodic, with great songs and attitude, with heartfelt ballads, with scorching guitar and a steady backing, buy this. Oh, and sometimes the guitars reminded me of Jake E Lee´s Badlands. Which is meant as a compliment. Yup, the material presented here is very mature and the songs have enough variation between them to keep this vivid, even after repeated play. These are pros and it sounds like it. So that is it really, highly enjoyable stuff! Personal play tips: Heart´s On Fire, Never Give Up, Tears That I Cry. I believe Liberty N Justice is to be considered a project with constantly changing participants. Every song on this 14 title disk has a different singer and other musicians adding. All brought together by founder Justin Murr. On the upside this creates an album where almost everyone will find something he or she likes. The downside however, may be that it is quite a mixed bag. Especially because a lot of songs sound close to the original bands of the main contributors. And I am not sure that is a selling point actually. 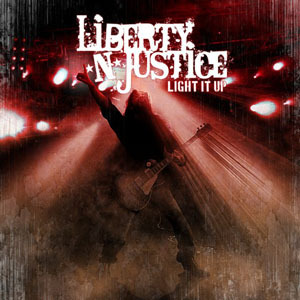 If I want Ted Poley, Firehouse of Harem Scarem, will I be looking for Liberty N Justice? Naturally it makes Justin Murr kind of a chameleon (he co-writes it after all) and you have to respect him for that. And sounding close actually means it sounds convincing nonetheless. So credit for that also! But to me it is like a weird kind of Best Of from Various Artists, and lacks originality and thus identity. But if you like the afore mentioned bands or others in that vein, this is still a safe buy. Personal play tips: Do What You Want, Man Vs. Mother Nature, Beautiful Decision. Actually I bought this because my dear friend Hans in ´t Zandt plays drums on the new Bangalore Choir album. Hope to hear that soon. So what about this CD then? 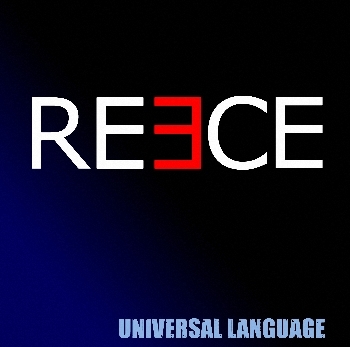 In the booklet is a short piece of information about the recent years of mister Reece, and that gives some nice insight. Well I approached with little expectation and found myself being greatly entertained. I like David´s voice a lot. It has a warm timbre with a lot of expression. No screaming but lots of tone and feel. The music is rocking, with a great sense of melody. Some are instant, some reveal their addictiveness after repeated play. Which only means you grow into the album and like it more. And that is a good thing! The setup is fairly basic (or classic if you will), with drums, bass, guitars and vocals. Nevertheless, it is fresh enough to keep things interested. Recommended for any rock lover with a knack for good singers and matching songs. Personal play tips: Before I Die, Fantasy Man, Rescue Me. Another project guitarist Robby Böbel (a.o. Frontline, Evidence One) is involved in. While I do like what he has done so far, and know he writes some serious good music, this album troubles me a bit. To clarify things, in it´s genre I think this is a potent album. I mean the songs are heavy but melodic, the players know what they are doing, melodies are everywhere, good singer, lot´s of guitars and keyboards, etc. But I guess it´s the wall of sound that doesn´t do it for me. I find listening to this record tiring! There is a constant blow on the ears and always a lot going on. I miss dynamics, some lighter parts. As a listener you don´t get a chance to catch your breath, the band are constantly firing away at you. Oh, tempos do vary, and several songs really have great parts. So I guess that a lot of people will actually dig this album very much. I hope for more light and shade next time around. Personal play tips: try the first few tracks, if you like that, the rest of the album is of the same calibre. Phil Vincent has done it again people. 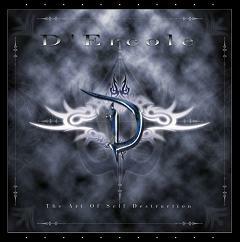 Under the new monicker of D´Ercole (after guitar player Damian) and with some other known compadres like William Arnold on bass and Tane DeAngelis on drums, this release is chock-full of delightful hard rock songs. Of course the Vincent sensibility for great melodies is never lost. I have heard some people compare this to Dokken and sorts, which is surely an indication of style. At least when they relate to the Dokken on top of their game. I must also mention that Phil is really broadening his vocal style. Some songs are sung with an aggression not often heard from him before. And I like it! The production is really sounding big (remember the massive guitars?) so repeated play really makes you like this record even more. 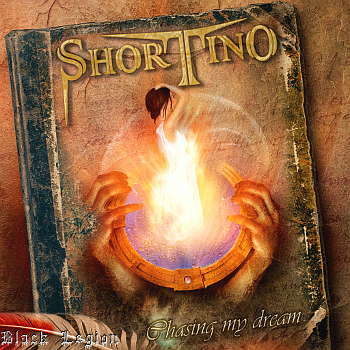 Essential for everyone into melodic hard rock, get it and support one of the hardest working men in the business. Woho, I am on a roll here! Yes another classic album and yes, I can imagine a lot of people thinking I got it all wrong. Those would probably vote for the 1993 Moodswings album. Well, let me try to explain. I am fully aware that Moodswings is a fantastic album, with a lot of classic songs, that are always played live and are very popular among the aficionados, and count me in. All right, but to me the right choice still is this record. Why? * thus it is pivotal! And that´s it really. I actually like to think the band agrees, as this album got the most songs played on the final concert at Firefest (if I am not mistaking) as was recorded on the Raw and Rare DVD. 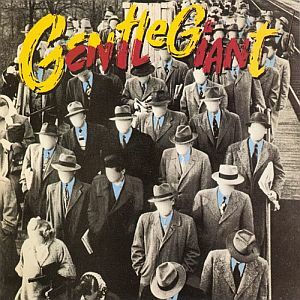 This is actually the first Gentle Giant album I ever heard and I immediately fell in love with it. And I said it before, albums you grow up on, tend to stick with ya and get that aura of being fantastic due to all the memories attached. Even for the time it was rather short, but I just kept playing the LP at the time. For it´s wonderful choruses, the great use of Hammond by Kerry Minnear, the inventive guitar licks by Gary Green, and the somewhat hoarse voice of singer Derek Shulman. (and to complete the list of musicians involved: Ray Shulman played the bass, and John Weathers drummed). And a lot of singing of course. And yes, this has little to do with their previous output. 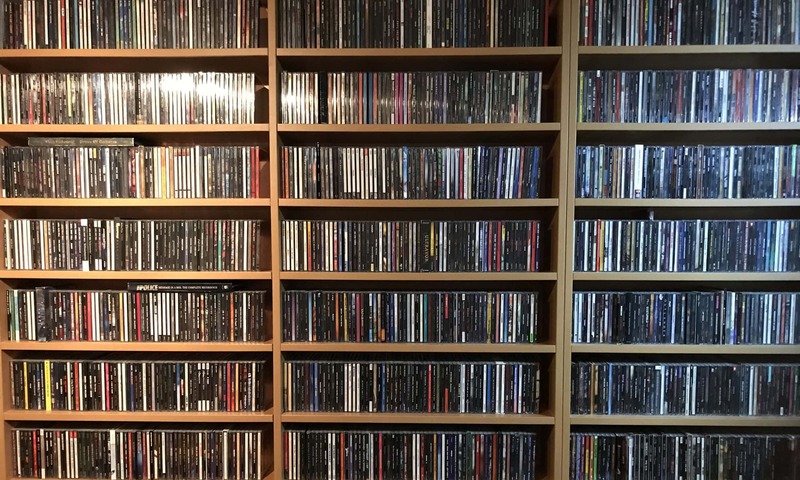 So imagine my surprise checking out albums like Octopus, Free Hand or Missing Piece. From where I was coming from (hard rock) that was not an easy task. But I grew into it and have since also developed a taste for quality symphonic music. But this was close to perfection according to me. 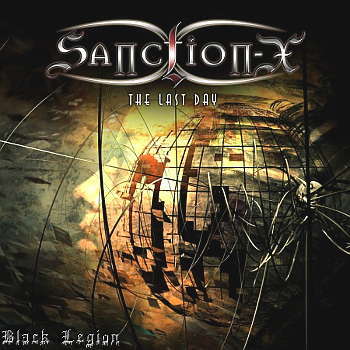 On it´s own I regard it a classic melodic rock album with some symphonic influences. In hindsight I understand some of the older fans as well. they thought it was a sell out and hated the band for it. If anything, this shows the top class of this band and the genius that are Harry Hess and Pete Lesperance. The latter never seizes to amaze with his unbelievable guitar solos and riffs and Harry is in fine voice as always. Misters Doane on drums and Donaghy on bass and vocals are no slackers either by the way. A lot of fun between them and it shines. The one thing I will never understand is why drums are panned the wrong way. I always get confused when I see a drummer hitting something to my left, and hearing it from the right. Well I guess that is just me. 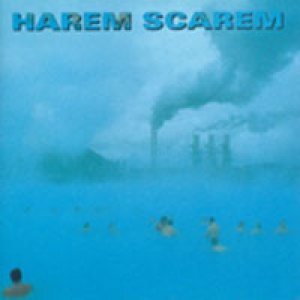 While viewing and listening it is hard to believe Harem Scarem never became a household name. Maybe because some songs simply are too clever. Maybe because the guys look like your neighbour (except Pete who looks like a rock star with all his tattoos, but he also has a short haircut). It can’t be because of the songs. These vary from modernistic hard rock, to classic AOR, but always ooze class… We will probably never know. I admire the band for always doing what they wanted to do, and for never looking back. And for corkers like Mood Swings and Voice Of Reason of course. Among the bonus features there is footage from 1994, during the tour for their second album Mood Swings. It is fun because of all that hair that later disappeared, and because of the songs, but audio and video are bootleg quality at best. Nevertheless also a testimony to my earlier point, a brilliant act! I for one am still looking out / hoping for news about the guys, ya never know… For now, enjoy this or play any of their albums.